Our little family-run country guesthouse is located in Steinsfeld, 5 km north of Rothenburg, with a foot and bike path connecting the village with the town. The guesthouse is from 1908, when a big military manoeuvre, a so –called “emperor manoeuvre” took place and new guesthouses were opened for the thirsty soldiers in all villages around. So also the former shoemaker’s workshop at the road to Rothenburg ob der Tauber was made a guesthouse, called “The New World”. 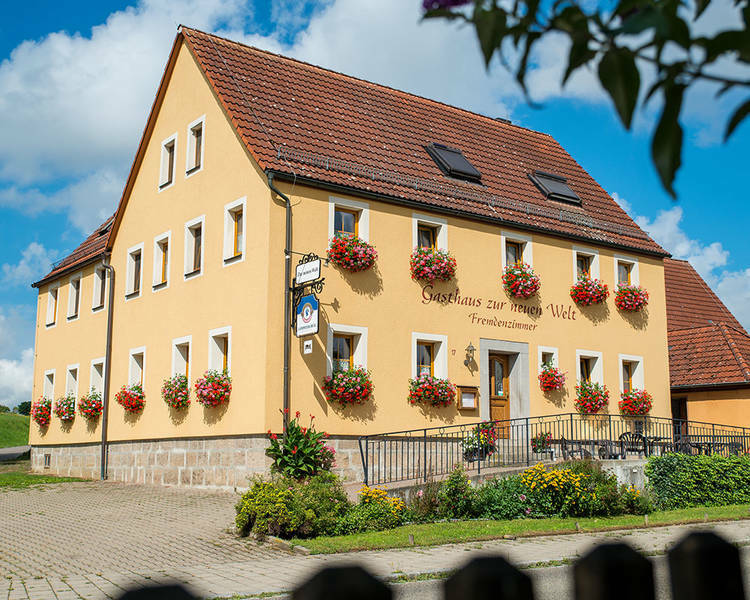 Ten years later the carpenter Friedrich Klaus acquired the property and since then we have been the third generation holding the family property.